Exclusive! The name says it all! 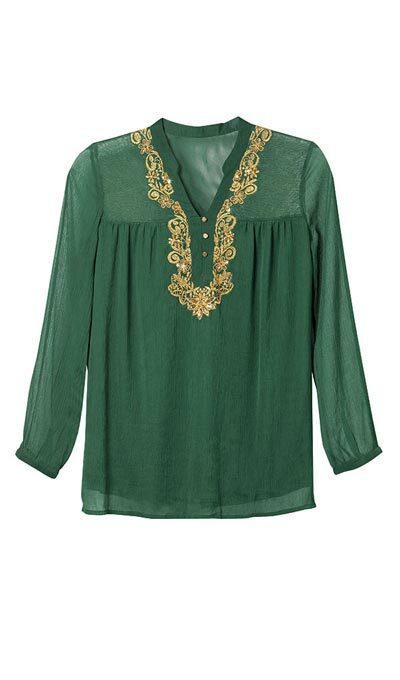 Our Elegant Gilded Top features beautiful gold embroidery with sequins that adorn the V-neckline and mandarin collar, and triple gold buttons highlight the placket. Long sleeves and easy, pull over styling. Viscose. Hand wash. Imported. Misses, approx. 29"l.